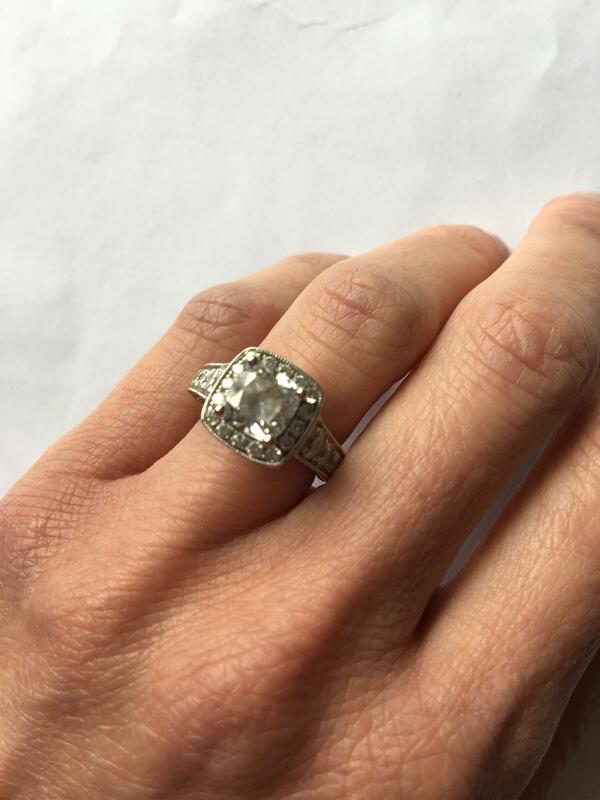 Stunning Gabriel & Co engagement ring. 68 side diamonds, 1.32 total carat weight for side stones, GH color, SI2 clarity. 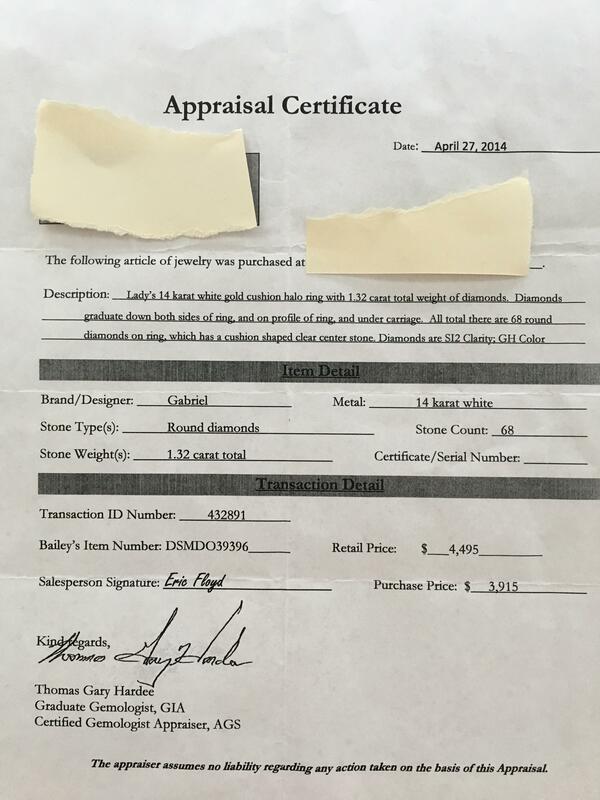 Included appraisal from jewerly store has all specifications, including retail price paid for ring $3,915.00. 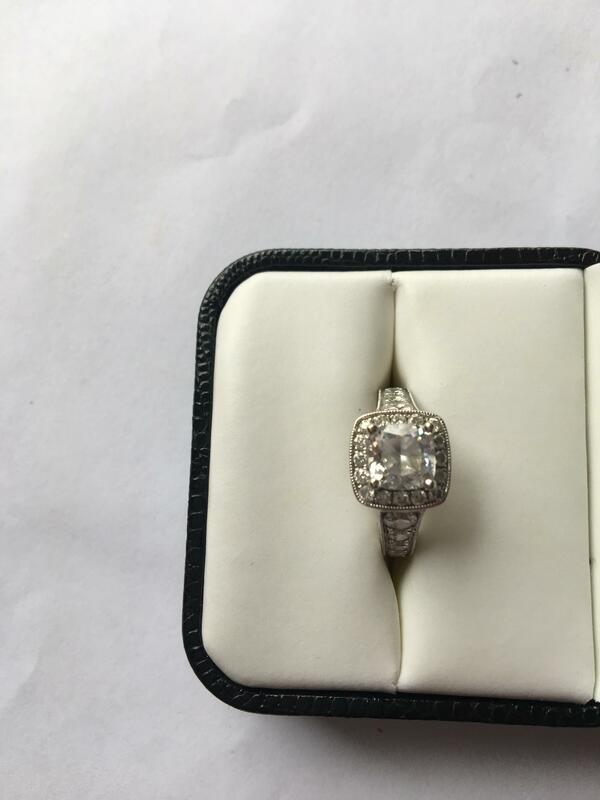 The center stone is a cz, intended for a cushion cut diamond of approx 1.5 carat size, currently it is holding a clear cz stone. 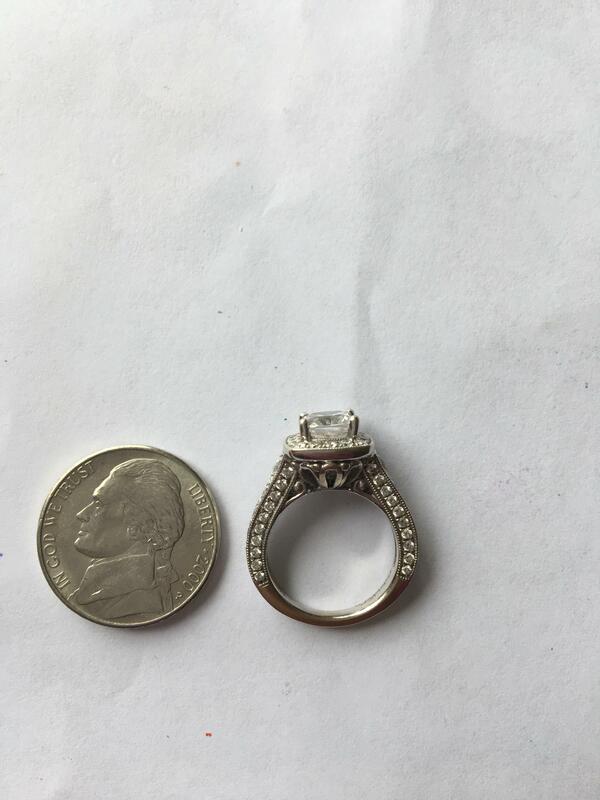 Selling to change wedding ring set. Bring me an offer!